Elaine Lindridge shared some highlights from around the district and a dream God has given her for harvest hands. Around our beautiful District I’ve heard some amazing stories about how God is at work. In this last few months I’ve seen some things that I’ve found really encouraging. The reImagine circuits tour in February – we were fully booked at the Newcastle venue and I was a bit fed up when the snow came, but then amazed that more than 50 people made a huge effort to get there. There seemed to be a real appreciation that things need to change and a deep desire to be open to God and whatever the future might hold. Recordings are online here. Then the discussions taking place about the Growth or End of life plans – I’ve seen BIG steps of faith with projects/with finances/with worship. Some honest and at times painful conversations. ECG North East – back in November, around 200 gathered to learn more, worship together, hear stories that give hope & challenge. Great to see some of our young people & young adults taking leadership roles in this too. Next year 8th June – Pentecost. The Weekend of Invitation – the seminar with Michael Harvey – where we were challenged to not let our fear of what might or might not happen stop us from inviting others to come to a service or event. There is a DVD of the workshop. Seeing churches in several circuits take seriously the call to be in small groups. We know being in a small group helps us to grow as disciples, it’s part of our heritage. So to see folk hungry to grow….it’s good. These are just some of my highlights since we last met as synod. There’s a lot of really good things going on in this District….there’s a lot of great people. Overall, I see a growing desire to be more involved in God’s mission, to engage in evangelism, and to reimagine church. We see where we are, we know some things need to change, we need to stop doing certain unfruitful things that tie us up, we need to heed the Great Commission to make more disciples. But how do we get there? Not long after Methodist Conference when there’d been a lot of conversation about Statistics for Mission. I had a dream (I’m on holiday & dreaming about statistics for mission!) I was standing in Brunswick, and I heard God say, ‘don’t count members count missionaries’. I wonder what other things do we spend precious time on that distracts us from mission? I felt this ‘don’t count members count missionaries’ dream was a prod from God to think in terms of rallying those who realise that they are called to work in God’s mission, and to encourage others to see their God given gifts and call to be missionaries in this region. When I read this passage of scripture, in my minds eye I don’t see yellow fields in the countryside….but I see fields of people, people who are like sheep without a shepherd. There’s a specific call there to pray not for the harvest….the harvest is already there. But to pray for harvest hands, to pray for missionaries. When I visit churches and circuits, so many times I see that the problem isn’t about lack of money, or the rule book (CPD), but it’s about people. Not having enough people to be involved in the mission activities. (Note I’m not talking about having people just to fill the jobs). 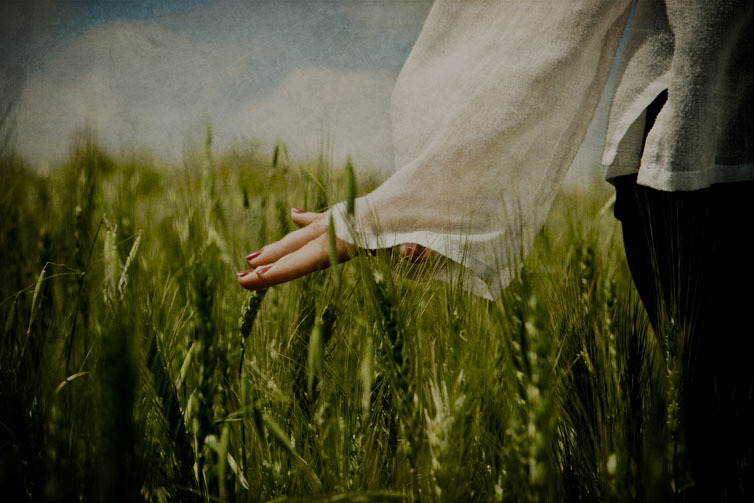 So, I find myself asking, am I, are we, praying for more harvest hands, for more missionaries? We love this region, want the Godly best for, not just our churches, but for our communities. I’m making a plea that we join in prayer for more harvest hands, more missionaries. Let’s become harvest hand prayers. Praying that God would give us more people to help with the work. When I come to your circuit or church to share in a meeting and lead a session – I’m going to pray for more Harvest Hands for your area. If I forget – remind me. Better still, join me. I’ve created a FB prayer group where we can have virtual prayer meetings. ‘Look up Harvest Hand Prayers’. I’ll send resources, prayers, & reminders out. Join the virtual prayer group….and let others know about it. We can’t physically all travel to the same place – but we can pause and pray at 10am on Mondays. If that time really doesn’t work for you, just pick another. In your prayer meetings, before committee meetings, in small groups, stewards meetings, in your property teams, as you prayer walk your neighbourhoods, in your own times of prayer – basically everywhere. I’m looking for people who will pray with me for something quite specific. Since before I came into this post I’ve had a hope for an evangelism enabler in every circuit. Not necessarily paid employees, but I do think some circuits need to seriously consider that possibility. For whatever reason, this hope has never been realised, never come together, but maybe the time is right to openly declare that’s what I’m hoping for. Some circuits already have evangelism enabler but most don’t. That would be 12 evangelism enablers – I like that number. If you’d commit yourself to pray with me specifically for 12 – come find me. Take a harvest hand, put it in your pocket, as a tangible reminder to pray.